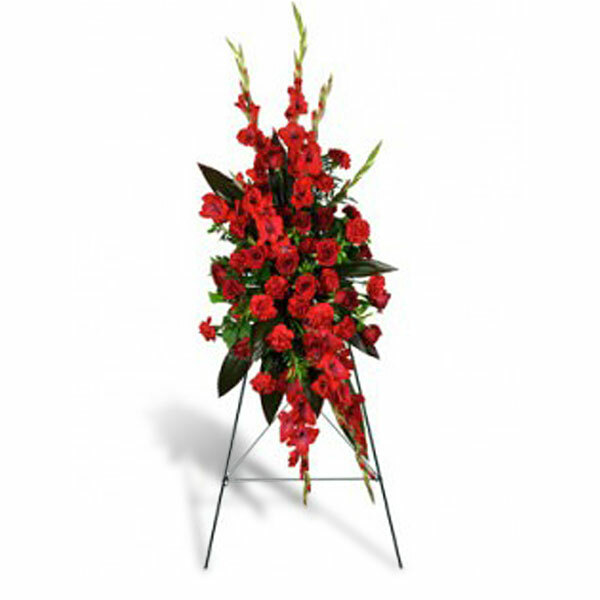 Easel Sprays also referred to as Standing Sprays can be made of any type of flower or flowers. The photos below are samples of some of the thousands we have made. The standing spray gives you the best show for your money. Standing sprays range in price from $100 to $500. 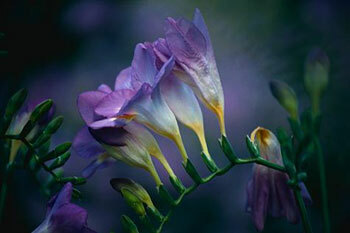 the items on this page are only a sample of the thousands of things we can do. 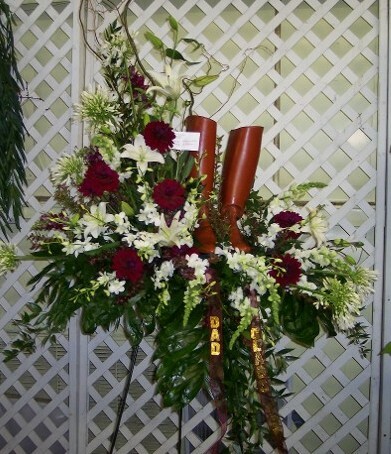 If you don't see what you are looking for, call us, we can make something special for you. Web Standing Spray #2 as pictured $135. Web Standing Spray #5 . Web Standing Spray #11 Price as pictured $200. 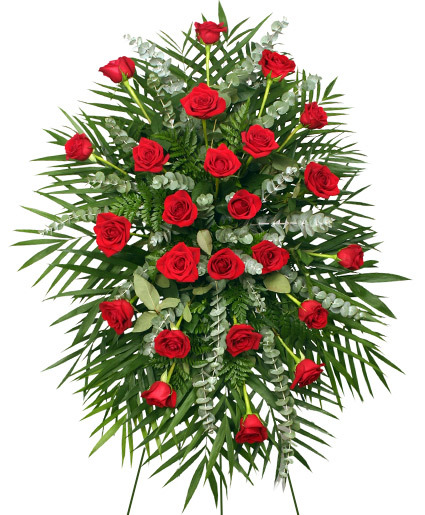 We can make this smaller with less flowers for $185. 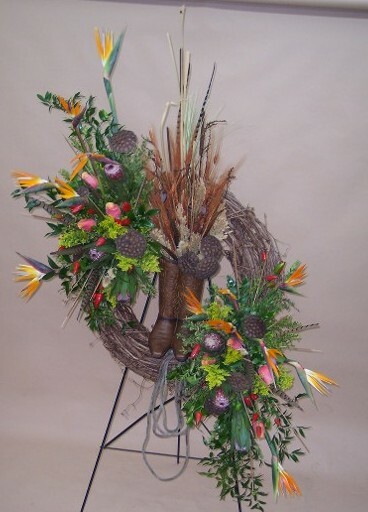 Web Standing Spray #13 price as pictured $250. 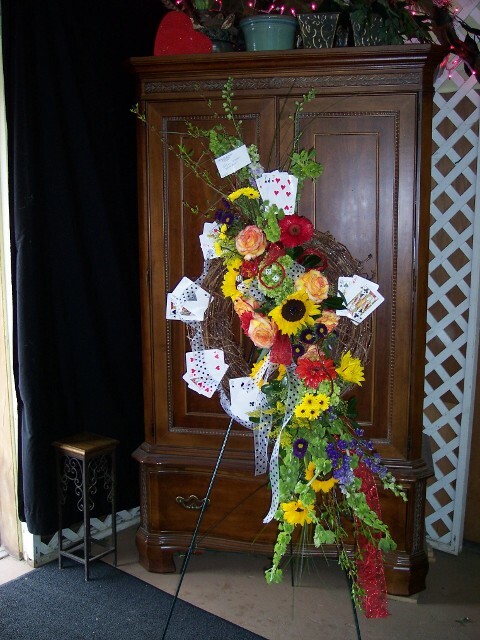 Web Standing Spray #15 price as pictured $250. Web Standing Spray #16 price as pictured $150. 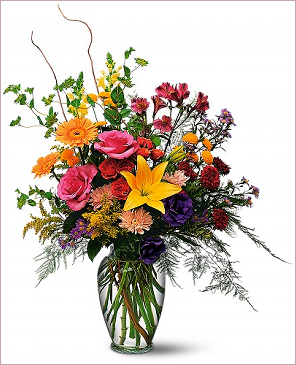 Web Standing Spray #23 Roses come in red, white, yellow, pink, orange and lavender shades. 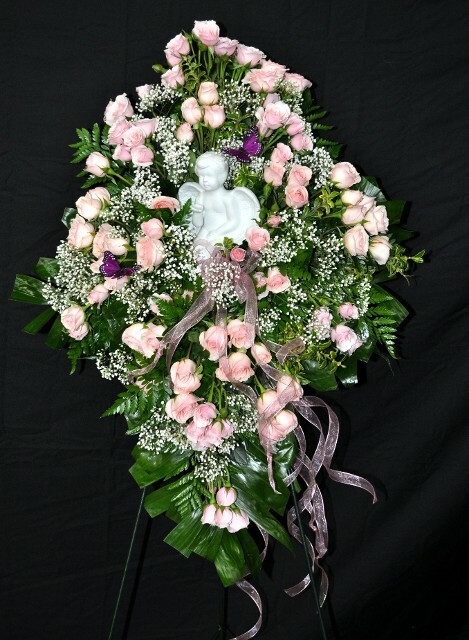 We can make this smaller with less flowers for $225. Web Standing Spray #26 price as pictured 150. 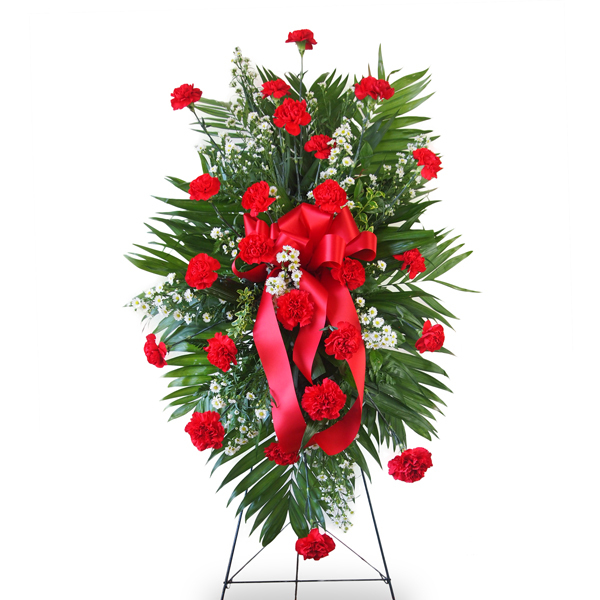 We can make this smaller with less flowers for $325. 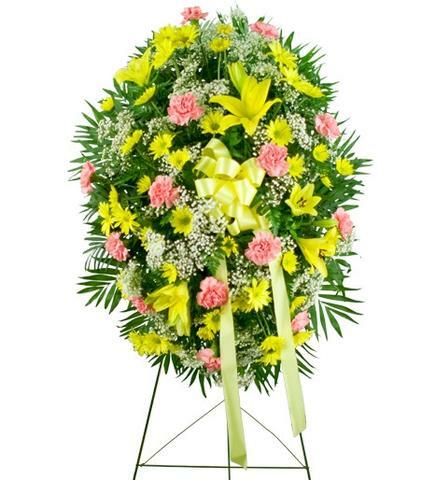 We can make this smaller with less flowers for $350. 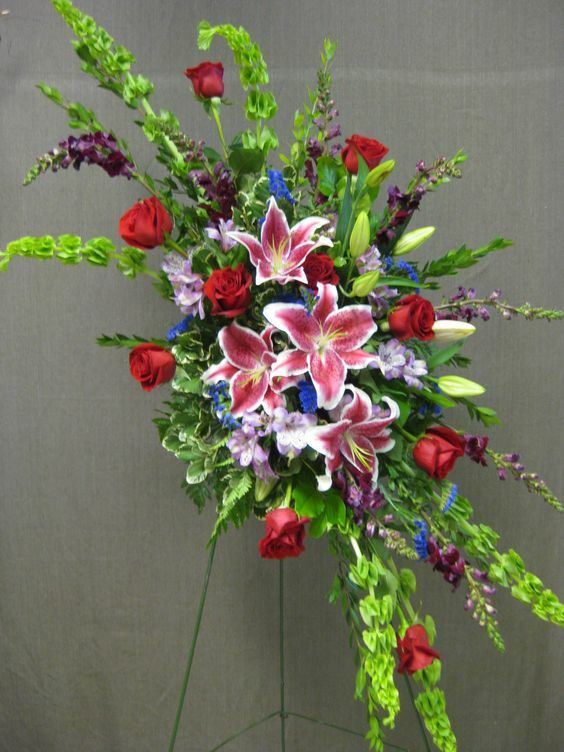 We can make this smaller with less flowers for $375. 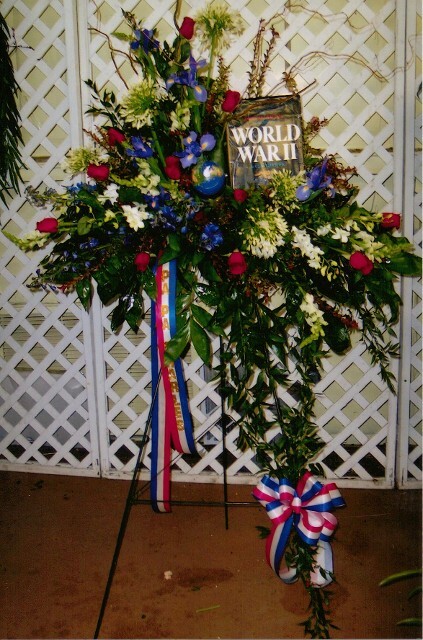 We can make this smaller with less flowers for $400. 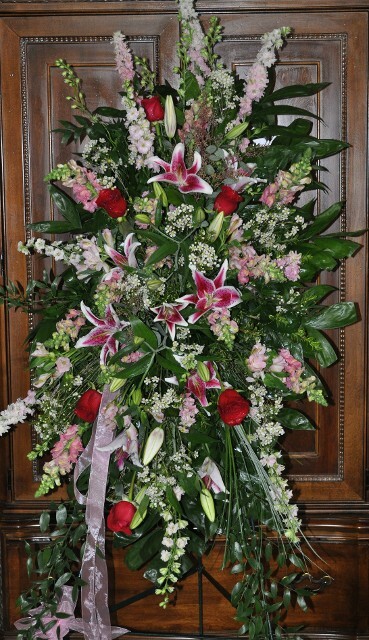 Web Standing Spray #55 Price as pictured $295. We can make it larger for $250.